I was recently sent a bottle of Maty’s Cough syrup and their all natural petroleum free Vapor Rub. I’ll tell about each one. The Vaper Rub is great to have around your home all winter to relieve congestion in your children especially at night. I used this before and loved it. It really helped with the congestion and helped my kids breath better at night. I can tell you that I had more than one container of this around and always brought it on vacation. I have used it on the airplane when I found they would get stuffy from the dry air. 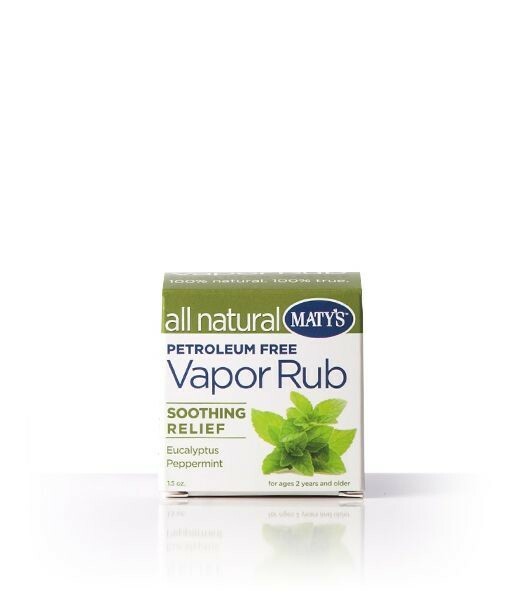 The Maty’s brand is the #1 selling all natural vapor rub in the country. 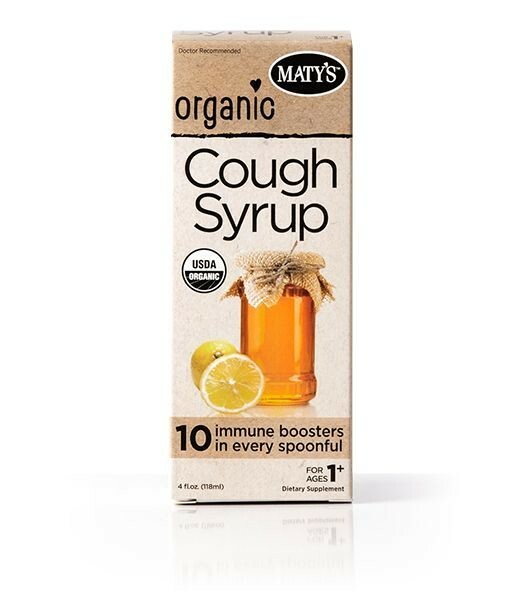 The Maty’s Organic Cough syrup is a great alternative to any chemical filled store bought brand.I am always leary of trying the regular brand name store bought brands because it always seems there is going to be a negative side effect. This is also good for kids who are already on other needed medication because there isn’t a risk of side effects or drug interactions. It completely Organic and GMO Free. You can even add it to a cup of tea or cider. With ingredients like sea salt, Organic honey, Apple cider vinegar, organic cinnamon and organic Lemon peel you know its safe. The cough syrup is also Gluten Free. Dairy Free. Alcohol Free. Contains no artificial preservatives, color additives, or sweeteners; no corn, soy, or wheat.